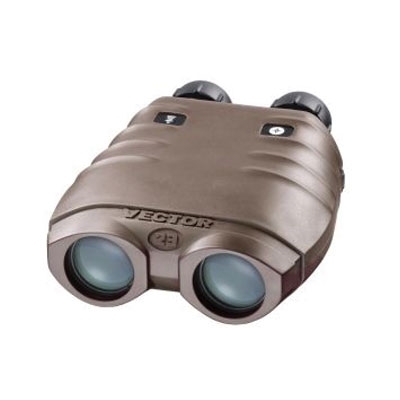 The far-ranging, highly reliable VECTOR 23 range finder contains unparalleled day optics and integrated Vectronix' 3-dimensional, 360° digital compass. VECTOR 23 calculates range measurements of up to 25 km and provides azimuth, elevation, and cant angle as well as horizontal distance and height difference - not only between the observer and an object, but also between two remote objects. The handheld contains a 1550nm wavelength laser which renders the device undetectable by night vision devices. Further, VECTOR 23s beam divergence is <0.3 mil, consequently allowing the handheld to accurately range smaller targets at longer ranges. All capabilities are executed with very little power consumption and like all Vectronix products, the handheld contains a Class I Eye-Safe Laser.